Even the smallest package of ENPAC's finest products can go a long way. Perfect for stashing behind the seat of a truck or placing in a stuff box, the Econo™ Spill Pak couldn't be more convenient. This kit can be refilled but it’s so economical, we feel it’s disposable. 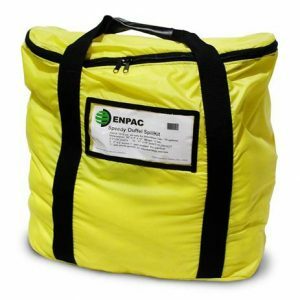 This compact and portable vehicle response kit is for your most small transportation spills, held in a yellow water-resistant nylon bag. A single heavy-duty strap provides convenient transport and response. These packs are especially great for fueling locations! Refills available for all Spill Kits. Now available in Woodland and Desert Camo. Need Spill response on the go? 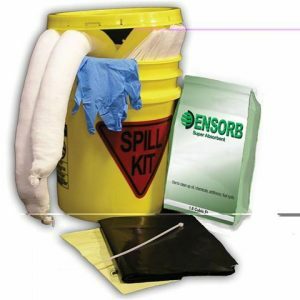 This Hand Carried Kit is quick and efficient for you unplanned spills. 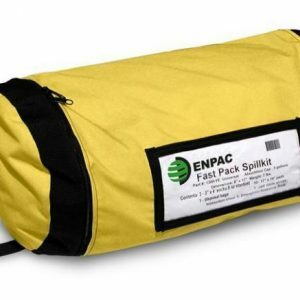 This compact and portable vehicle response kit is for your larger transportation spills, held in a yellow water-resistant nylon bag. Two heavy-duty straps provide convenient transport and response. These duffels are especially great for fueling locations! 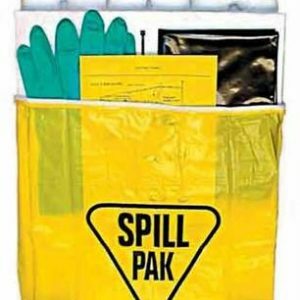 Refills available for all Spill Kits. Now available in Woodland and Desert Camo.